In Newton Northern Nevada’s Elementary Social Thinking class, the students have been learning about “I” messages and how this strategy can help in their conversations with others. An “I” message is a style of communication that focuses on the feelings or beliefs of the speaker, rather than thoughts and characteristics that the speaker attributes to the listener. This can be a particularly beneficial way to deliver a message when dealing with a conflict. 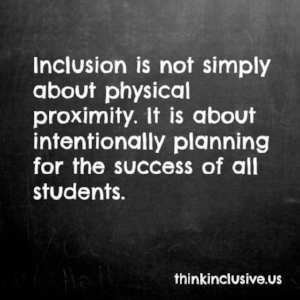 For example, one can say, “I feel uncomfortable when it gets too loud in the classroom” versus “YOU are being too loud! YOU need to be quiet”. The students have been practicing in class, and have role-played using different situations where “I” messages could be utilized. We are very proud of our Elementary group! 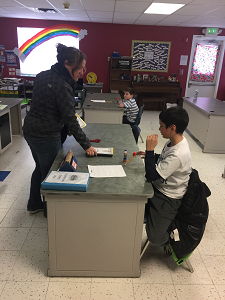 The picture below shows Mrs. Jeri working with Sam and Vincent of the Elementary Group. 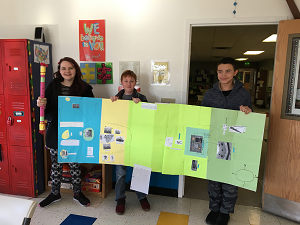 Newton Northern Nevada’s Middle School History class just completed a group project on defending a medieval castle. The students were given the role of knights and had to research a medieval castle’s strengths and weaknesses when it comes to defense in case of an attack by a neighboring Lord. The knights were then to put together a defense strategy for protecting their Lord, in this case their teacher, Mrs. Bethany! The knights did a fantastic job of putting together a comprehensive defense plan! James is a fun loving child who is full of imagination and humor. It is a pleasure speaking with him daily and listening to his stories about Star Wars and what he ate for dinner the night before. 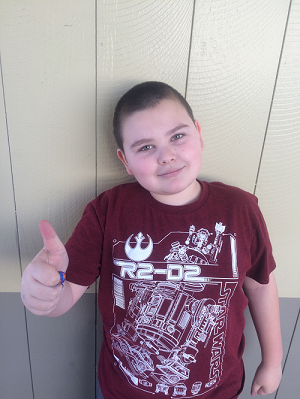 James earns daily visits to the behavior office as an incentive for consistenly meeting his personal behavior goals. He is a star!!! 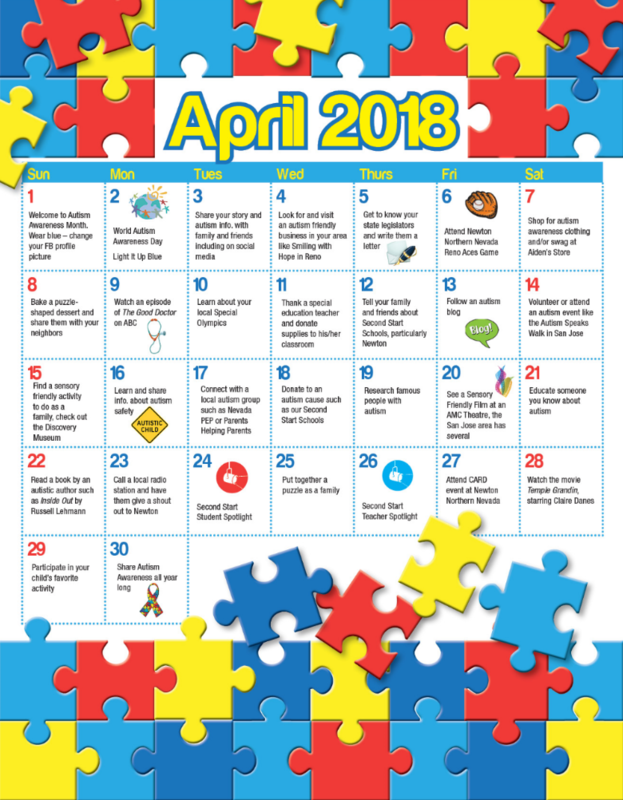 April is Autism Awareness Month! To honor that our April Newsletter will be a month-long calendar of things you can do to celebrate. You’ll be able to click on most of the dates to be directed to a website related to each activity or suggestion! Take a look and start planning now. Be on the lookout for the interative calendar April 1st via email and on our website in our Newsletter section. Be sure to share our social media pages with your family and friends!